and the Duhamel Education Initiative’s 19th Annual Fundraising Supper. Somerville Public Schools (SPS) maintained its phenomenal upward trajectory as the leading urban district in the state for student growth, breaking into the top 15% of all Massachusetts districts in combined growth in English-Language Arts (ELA) and Math, according to Spring 2014 MCAS results released last week by the Massachusetts Department of Elementary and Secondary Education. In addition to continuing improvement in student growth, more Somerville students scored higher on English-Language Arts, Math and Science MCAS tests, while nearly every school in the District advanced to either the highest or second highest levels on the state’s accountability scale, showing that Somerville is making significant progress in addressing the needs of students at every level. Somerville firmly positioned itself among the top 15% of Massachusetts school districts in Student Growth Percentile (SGP) with District-wide SGPs of 59 in ELA and 60 in Math. Somerville was the only urban district to rank among the Commonwealth’s top 15% in growth, far surpassing every other urban district in the Commonwealth, ranking #58 based on combined SGP. The next closest urban district ranked #117. As measured by SGP, which offers a clear measure of a school’s ability to accelerate learning for students at every proficiency level by comparing them to their “academic peers” from across the state, Somerville moved up to an 85th percentile rank in the state. 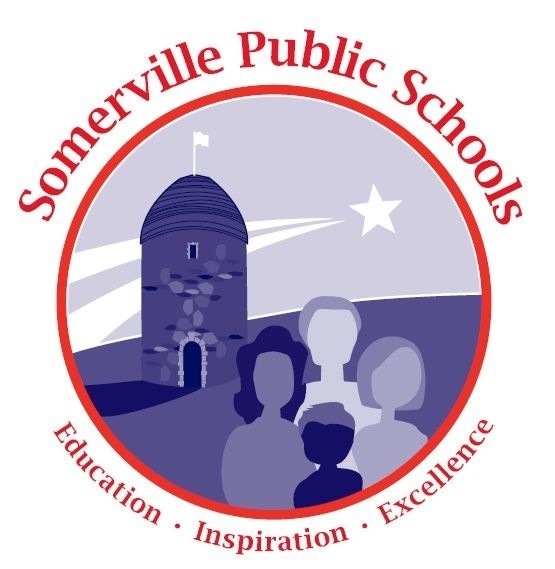 Once again, Somerville showed improvement by every measure–Student Growth Percentile, School Accountability ratings, Composite Performance index (CPI), and percentage of students scoring Proficient and Advanced. Somerville High School continued to show outstanding SGP improvement that included a jump in the median ELA SGP from 68 to 75, and a rise in the median Math SGP from 55 to 65. Meanwhile, Somerville High’s drop-out rate fell to a 5-year low of 2.5 in 2013. The high school maintained its Level 1 accountability designation after making a 2-level leap last year to the highest ranking on the state’s five-level Accountability scale. The West Somerville Neighborhood School moved up to a Level 1 rating from Level 2 last year, while the Winter Hill Community Innovation School moved up to a Level 2 rating from Level 3. The John F. Kennedy School maintained its Level 1 status. Read the full press release to learn more about Somerville’s spring 2014 MCAS results, and for supplemental school-level highlights. Do you pin? Follow the Somerville Early Education (SEE) Pinterest board to learn about creative activities you can do at home to support the curriculum your young student is doing at school. From simple ways “to create varied terrain and destination spaces” to activities using household items to practice motor skills, SEE offers great ideas and endless hours of fun exploration and learning. It’s corn-shucking time in the Somerville Public Schools! October 2, 2014 is the date for this annual Farm to School tradition that has students, community volunteers, and parents/guardians shucking locally-sourced corn from 7:30 to 8:00 in the morning, in preparation for a delicious lunch. Hundreds of ears of corn will be shucked in Somerville Public Schools cafeterias throughout the District on this Thursday morning for students to enjoy at lunch time. Read this 2013 Let’s Move blog piece highlighting Somerville’s Corn Shucking event to learn more about this fun and popular annual event. · Saturday, September 27th from 1:30 – 3:00 p.m. at Chuckie Harris Park with School Committee member Steve Roix. Interpretation will be available in Spanish. · Sunday, September 28th from 3:00 – 4:30 p.m. at Bloc 11 with School Committee member Adam Sweeting. · Thursday, October 2nd from 7:30 – 9:00 a.m. at Diesel Café with School Committee member Paul Bockelman. The Superintendent search process was initiated last week. Information gathered from a community-wide survey and from dozens of focus group meetings, including three community meetings, will be used by Hazard, Young, Attea & Associates to formulate a leadership profile that will be used to recruit qualified candidates for this position. The School Committee will discuss the details of this leadership profile document at its meeting on Thursday, October 2nd at 7:00 p.m. at 42 Cross Street. This meeting is open to the public. You may have heard or read stories in the news recently about non-polio Enterovirus D68 (EV-D68). The clinical guidance for keeping your child from getting and spreading EV-D68 is the same as with any enterovirus: avoid close contact with sick people, wash your hands often with soap and water, avoid touching your face, cover your coughs and sneezes, clean and disinfect surfaces, and please stay home if you’re sick. Frequent use of soap and water is the preferred hand hygiene strategy, but the use of hand sanitizer is better than nothing if soap and water are not readily available. To learn more about EV-D68, including symptoms this infection, visit http://www.cdc.gov/non-polio-enterovirus/about/EV68-infographic.html. Join us for our next training, “Supporting Literacy” on: Wednesday, October 8, 6:00pm-8:00pm at the Argenziano School (290 Washington Street) with Alex Hershey, Instructional English Language Arts Coach, SPS. Learn specific techniques for supporting balanced literacy in the classroom and at home. Strategies for decoding text, developing fluency, supporting reading comprehension, and ways volunteers can support writing will be shared. This training is open to all new and returning SPS Volunteers, parents and guardians. Interpreters will be available. To RSVP: JCapuano@k12.somerville.ma.us or 617.629.5475. To learn more about Somerville Public Schools volunteer opportunities, visit www.somerville.k12.ma.us/volunteer, and follow us on Facebook. The Highlander Café opened its doors for the 2014-2015 season earlier this week. On Wednesdays, Thursdays and Fridays from 11 a.m. to 1 p.m., customers can enjoy a delicious lunch prepared by Somerville High School Culinary Arts students, under the guidance of Culinary Arts Instructors, Jeffrey Stuart and Melissa Nova. To find out what’s on the menu this week, visit www.somerville.k12.ma.us/cafe. Like many other accomplished chefs, Chef Stuart began cooking at a young age, helping his Italian Mom make chocolates for the holidays. His love of food continued as he studied Culinary Arts at a Career & Technical Education high school and then graduated from Johnson & Wales University in Norfolk, Virginia, where he subsequently taught at the age of only 20. He holds dual teaching certifications in Baking & Pastry and Culinary Arts, and has worked in the restaurant industry as an Executive Chef and Executive Pastry Chef. He has worked for celebrity chef Ming Tsai, dined with the likes of Julia Child, Emeril, and Bobby Flay, and has cooked for more than 50 presidents from around the world, including a private function for President Gerald Ford. Chef Stuart has been nominated for Outstanding Vocational Teacher of the Year, voted the American Culinary Federation (ACF) Member of the Year, and was the first American to represent the United States in The Cup of Nations Competition in Quebec, Canada where he won a Gold Medal in the hot foods category. Melissa Nova was born and raised in the Dominican Republic, and came to the United States at the age of 15. She graduated from Northeastern University with a BA in Psychology and is also a graduate of the Institute of Culinary Arts in NYC where she received her Culinary Arts degree. She worked for renowned chef Floyd Cardoz at Tabla restaurant in NYC and restaurateur Danny Meyer of Union Square Hospitality Group. In 2007 she spent time in San Sebastian, Spain where she worked for 3-Michelin star chef Martin Berasategui. She then worked in French-inspired restaurant Lumiere in Newton and Masa Southwestern Bar and Grill as a sous chef. She was a Sr. kitchen manager at the Cheesecake Factory for the last four years before coming to Somerville High School this fall to teach at the Culinary Arts program. The Somerville Art Council’s 2015 LCC grant program to support artists, schools, organizations and special projects in Somerville is under way. If you are new to the Somerville Art Council’s Local Cultural Council (LCC) grant process, stop in at their upcoming information session to learn more. If you have ideas about an art project but are not sure how to plan one, if you’re seeking a fellowship to support your work, or if you merely have questions about the LCC application forms, this information meeting is a great way to meet with staff and learn more. The information meeting will be held: Thursday, October 2, 6-7:30pm at the Somerville Public Library West Branch (40 College Avenue). LCC grant applications are due mid-October. LCC grant information, guidelines and application forms can be found at: http://www.somervilleartscouncil.org/grants. Visit your child’s school website, http://www.somerville.k12.ma.us/schools, and click on the “calendar of events” link at the top of the page for a complete list of all the activities happening at school this month. Find the complete School Committee schedule, agendas and meeting minutes (as approved) online at http://www.somerville.k12.ma.us/school_committee. Saturday, September 27, at 6:00pm: DEI 19th Annual Fundraising Supper. Pasta and Meatball Supper (meat-free alternatives will also be offered), prepared and served by Somerville Aldermen. First Church Congregational (89 College Avenue, Somerville). For more information, visit www.duhameleducationinitiative.org. Saturday, September 27, 3:00-7:00pm: 9th Annual Fluff Festival at Somerville’s Union Square. For more information, visit https://unionsquaremain.org/fluff-festival/. Thursday, October 2, 6:00-7:30pm: Somerville Art Council’s 2015 LCC grant information meeting, Somerville Public Library, West Branch (40 College Ave.): If you have ideas about an art project but are not sure how to plan one, if you’re seeking a fellowship to support your work, or if you merely have questions about the LCC application forms, this information meeting is a great way to meet with staff and learn more. LCC grant information, guidelines and application forms can be found at: http://www.somervilleartscouncil.org/grants. Sunday, October 5, 11:00am to 3:00pm: Twelfth Annual Tufts Community Day, co-sponsored with the Cities of Somerville and Medford. You’re invited to a day of family fun, performances, BBQ, crafts, and more! All events, including lunch, are FREE. The day’s events will include arts, learning across Tufts, music and dance performances, and community resources. Event will be held On the Green at the top of the hill. Free parking in the garage at 419 Boston Avenue. http://communityrelations.tufts.edu/communityday/. Sunday, October 5, 5:30pm to 9:30pm: Feed Your Soul, Nourish Your Community. A benefit party for Hearty Meals for All (HMFA) to be held at Arts at the Armory (191 Highland Avenue). Advance tickets are $20 general/$15 students; $25 general/$20 students at the door. Hearty Meals for All, a Somerville-based non-profit community meal program providing free locally-sourced meals to anyone in need in the community, invites you to celebrate and support your community at this benefit event which will include live music, raffle prizes, craft beer & cocktails, hors d’ouvres and a dance party. Visit http://www.heartymealsforall.org for more information. Arts at the Armory “Youth Arts Arise.” Arts at the Armory is offering a free afterschool arts program for youth ages 11-14. If your child is interested in art, this is a great opportunity for them to learn and explore their creativity in a wide range of artistic mediums. Fall semester runs from October 7-December 16, every Tuesday from 3:30-5pm. Starting November 3, an additional workshop will be offered every Monday from 3:30-5:00pm. The program is free but advance registration is required. Registration forms available at www.artsatthearmory.org or in person at 191 Highland Avenue, Suite 1A. Registration deadline is September 23. For more information, contact Bridget Galway, education@artsatthearmory.org or (617) 718-2191. Somerville Youth Hockey Registration. Learn to Skate (LTS)/Learn to Play Hockey (LTPH) for ages 4 and up begins October 18, 2014 and runs until early March, 2015. Sign up at the Somerville Rink Mondays and Wednesdays from 6:30-7:30pm until the program begins, then on or after October 18th, from 8-10:30am on Saturdays. $90 registration fee for LTS/LTPH. For more information, visit www.somervilleyouthhockey.org. A look at some of the events/activities in the Somerville Public Schools that are taking place in the coming weeks. with the more than 5,000 people who get this mailing nearly every week!